All the gadgets you’d like to play with in one place. All these little devices are like a baby toy. Turn this, plug this in, push that. 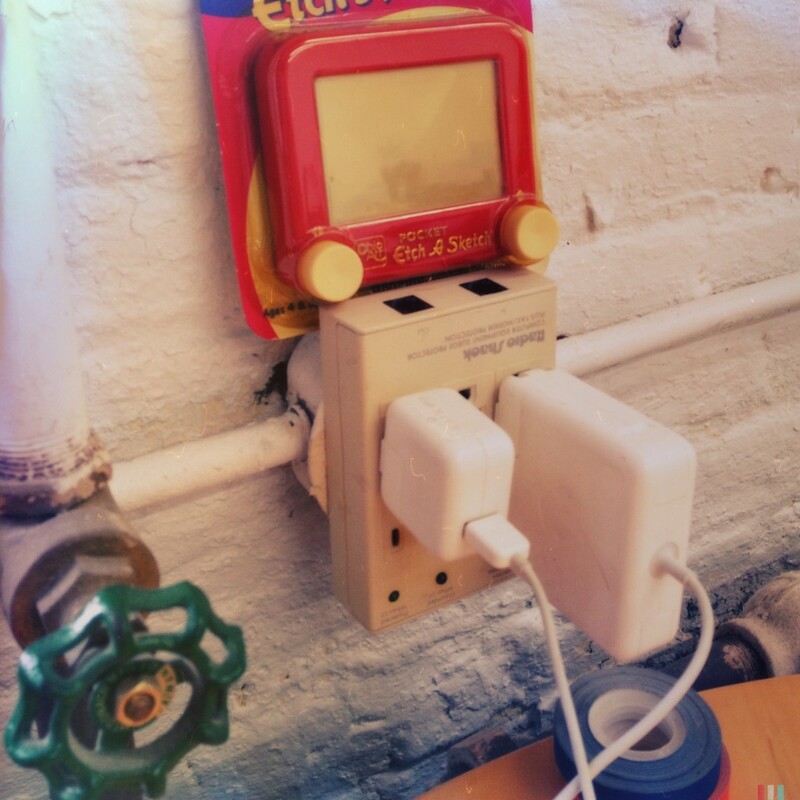 Is that Etch-A-Sketch electric? Strange find on the beach. A strange surprise. This would seem to indicate an industrial size sand castle. 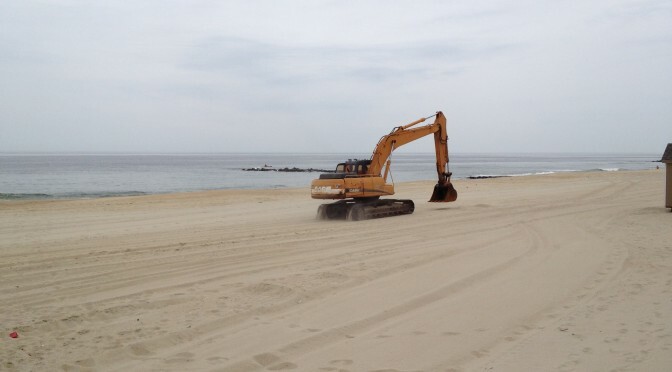 But alas it is the continuing saga of Sandy recovery along the Jersey shore.